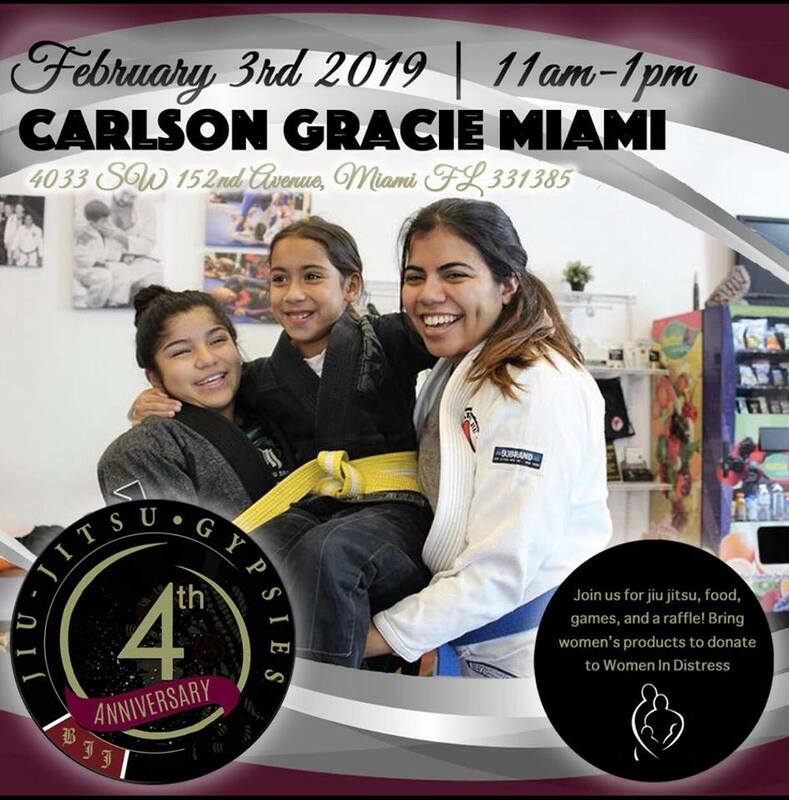 Jiu-Jitsu Gypsies, a women’s BJJ group in South Florida, is celebrating its four-year anniversary next month at Carlson Gracie Miami gym. 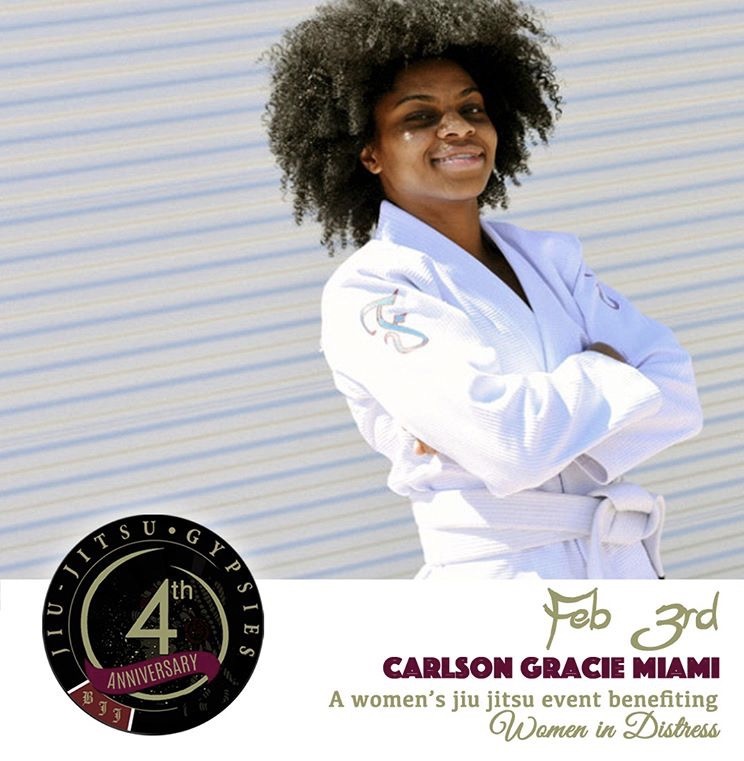 The event is hosted by Cathy Jones, Carlson Gracie Miami first female black belt. Between 80 and 100 participants are expected, and the organizers are encouraging everyone to bring women’s products which will be donated to a local women’s shelter for victims of domestic abuse. 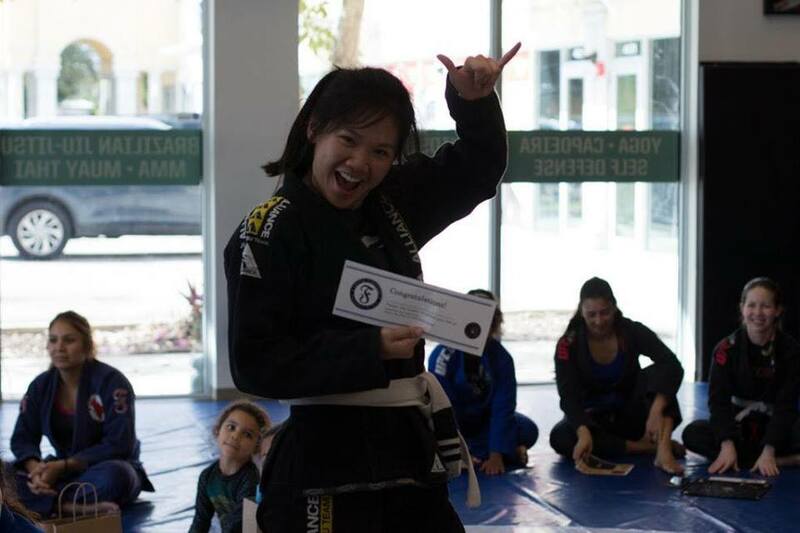 The anniversary event will have food from Healthy Chef, gi raffles from several gi brands, games, technique instruction, and plenty of friendly rolls. 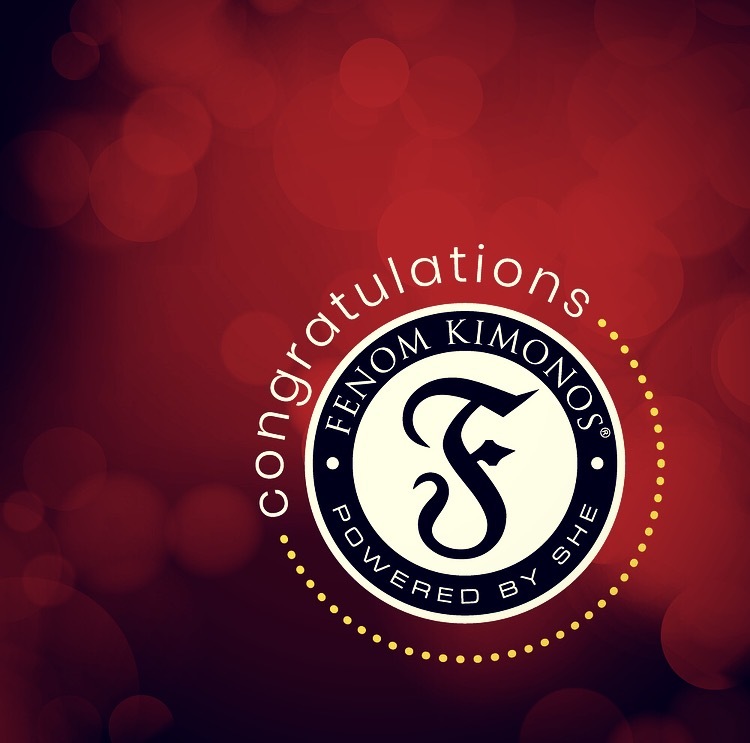 This is the third year in a row that Fenom Kimonos donates a gi to the raffle. The lucky winner can pick whichever color, design, and size she likes from Fenom’s product line. Jiu-Jitsu Gypsies was created in 2015 by Teresia Carreon, and with the help of Heather Raftery, the Gypsies started regular open mats with 10-20 women in attendance. 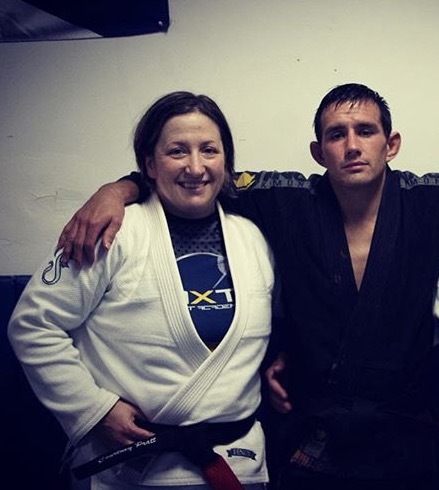 After a while life took Heather to California where she earned her black belt under Andre Galvao; Teresia moved to Texas to be closer to her family, and Olivia Aleida took over as the main organizer. With her consistent hard work, 30-50 women and girls have met up monthly in as many different gyms in the South Florida area as possible. Jiu-Jitsu Gypsies is not just a women’s training group; they give back to the community by collecting school supplies, non-perishable items for food pantries, toys for local Toys for Tots campaign, and women’s items for local shelters. Jiu-Jitsu Gypsies have built a fantastic women’s BJJ community where women who train at different gyms, and compete against each other at tournaments can come together at open mat events, and hang out as friends. Happy birthday Gypsies!